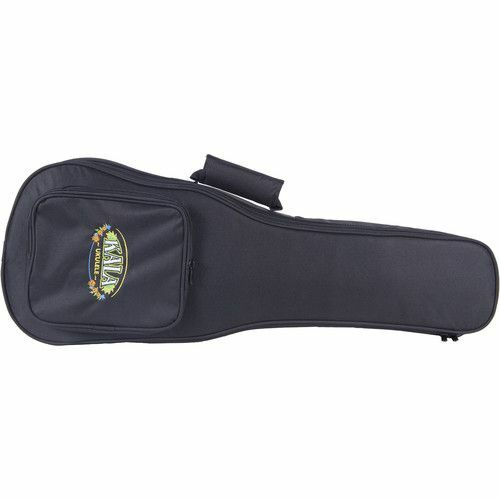 The Kala DUB2-CK is a deluxe heavy duty black concert size ukulele gig bag with a colorful ‘Kala Brand Ukulele’ logo embroidered on the front pocket. This road-ready gig bag is made with Black Cordura Material on the exterior, and 20mm padding on the inside for maximum protection. You also get an accessory pocket to store your tuner, picks, and extra strings. Other premium features include two shoulder straps, a comfortable carry handle and heavy duty zippers.